What is up folks? 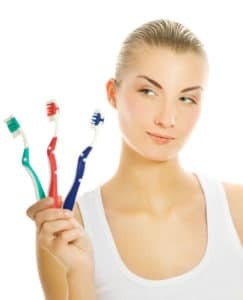 The state of your toothbrush is really important for your dental hygiene. Keeping it neat and clean will help you to get rid of plaque, food debris and scare away any dental disease. Besides, brushing your teeth daily, at least twice a day, will prevent that they stain pretty badly over time. Keep in mind that just as it is important to brush your teeth you have to also take care of your dental hygiene tools. However, many people just forget ho w their toothbrush impacts their teeth’s health. I have seen and heard of cases of patients that do not change their toothbrush for over a year, impressive and gross. Today I will give you some tips and tricks that will make your toothbrush last longer and improve your hygiene and oral care. This famous quote from a very funny sitcom is right in this case. 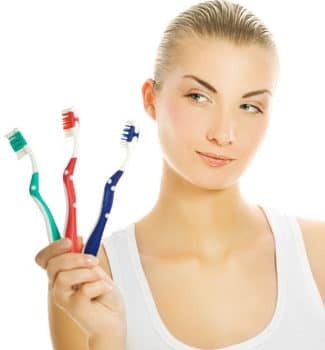 Remember to change your toothbrush every 2 to 3 months to maintain a good oral hygiene routine. Because we brush our teeth several times a day, it is pretty normal that the bristles start to wear down and open up. Using a toothbrush in this state will hinder its effectiveness and it will be the same as not using at all. When you start seeing that the bristles are starting to look really funny and open, get a new one. Which one to get? Always get soft bristles toothbrush because it is really important that you treat your teeth with gentleness and care. This brings me to the next point. How we approach and brush our teeth has an impact on our toothbrush too. Being too aggressive and going too hard will not only mess up your brush but your teeth also. Remember to go with gentle strokes when brushing to avoid damaging the tooth enamel. This enamel is a thin coat that protects our teeth and prevent tooth loss. The aftercare of your toothbrush is a really important step if you wish to keep it for a long time. A toothbrush loses a lot of effectiveness if you do not take proper care of it. It can become a nasty nest of bacteria if you leave it be in the wrong place or if you do not clean it after using it. Boiling your toothbrush in water after using it can kill all the bacteria that can attach to it. Drying your toothbrush is also a really good way to preserve it in a top notch condition. Many dentists will suggest that leaving your toothbrush in your bathroom is a bad idea. I think it does not change that much wherever you as long as it is a really clean place. As long as you clean your toothbrush before putting it in your mouth you will be fine. If you are searching for nice prices and deals in toothbrushes I suggest Los Algodones pharmacies. You will find excellent prices in ADA seal of approval dental items besides our awesome prices in dental treatment at Dental Solutions Los Algodones. Apart from taking care of your toothbrush nicely you have to support it so you can reach the smile of your dreams. Using dental floss and mouthwash after brushing will improve your dental health tenfold, like you have no idea how much it does for your teeth health doing the simple things. Finish it by having a good brushing technique and your smile will speak a thousand words. For more suggestions and tips, consult your dentist to know what else you can do to keep your toothbrushes in good form and improve your dental health. Do not forget to visit your dental office every 6 months and see you next article!